Suffering from itchy and watery eyes? Home » What's New » Suffering from itchy and watery eyes? Spring weather is finally here and whether we like it or not, allergy season is here too. As if a puffy face, runny nose, itchy throat, congestion, and sneezing uncontrollably wasn’t enough, most of us will also find ourselves at the mercy of our itchy and watery eyes. Those scratchy eyes are begging for a good rubbing, but fight that urge! Rubbing your eyes will only worsen the symptoms and create premature wrinkles. Histamine is the major culprit behind allergic symptoms. Histamine is a compound in the body produced by basophils and mast cells (both white blood cells in your immune system). When you rub your eyes, you cause the mast cells to rupture and flood the area with histamine. As a result, your eyes become more itchy and more watery. It is a vicious cycle! According to the Asthma and Allergy Foundation of America, Houston is ranked 32 in the top 100 worst US cities for people with allergies. I think I speak for most of us when I say that working the whole day with tired, red, itchy, and watery eyes is not ideal when you’re trying to be productive. As you work in front of a computer, the words on the screen start to become blurry. If you work in customer service, it’s hard to look and sound upbeat when you are sneezing up a storm with bags under your eyes from feeling under the weather. So is there anything we can do to combat allergies to keep us productive and happy for spring weather? Some people are prescribed anti-histamines, corticosteroids, nasal sprays, and/or allergy shots to manage their symptoms. See your primary care physician or your allergenist to find the best option for your. That’s good and all, but what about my poor eyes? Your local eye doctor can prescribe the best eye drops to keep your eyes looking and feeling fresh! Your doctor may also prescribe cold compresses for use over your eyes in addition to other therapies for relief and comfort. If you are a contact lens wearer, switching to 1-day disposable lens will help improve symptoms. Pollen and protein accumulates on the contact lenses the longer you wear them, which in turn causes allergic symptoms to worsen. Using daily disposable contact lenses will allow you to throw away the contacts at the end of the day and put in a fresh pair, free of allergy causing debris, the following morning. 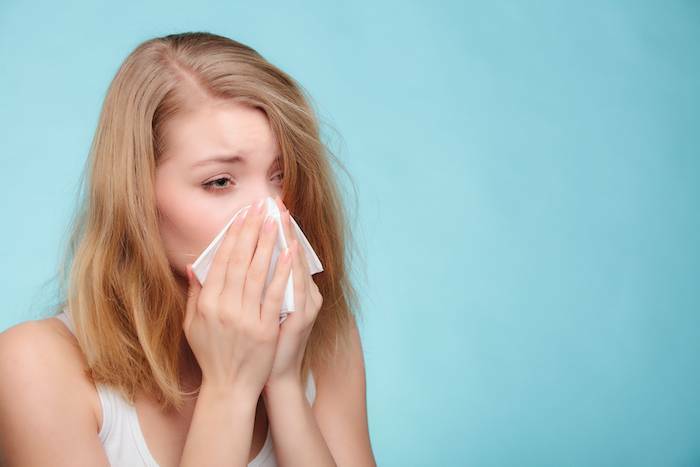 Call 713-838-2020 or click here to schedule an appointment for an allergy consultation today. Dr. Erica Ngo, O.D. is an optometrist fascinated by dry eye disease, ocular surface disease, and digital eye health. She is passionate about protecting and preserving eye health with a focus on aesthetics, makeup, and fashion. On her free time she enjoys latin dancing, food, travelling, and playing with her fluffy companion. She lives in Houston and is always looking for ways to explore and give back to her community.